Want more time to sew? 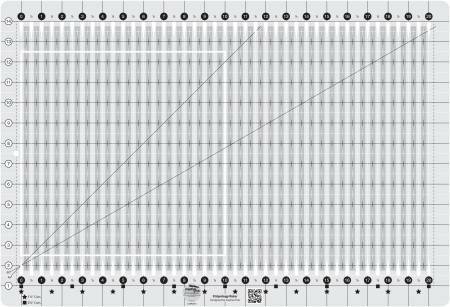 Reduce your rotary cutting time by up to 75% with the Stripology ruler. Cut up your full width fabric and fat quarters into the most popular pre-cuts on the market - 1-1/2" & 2-1/2" strips; 5" & 10" squares. Cut through the slits marked with stars to cut 1-1/2" strips or squares to cut 2-1/2" strips - makes cutting a no-brainer.